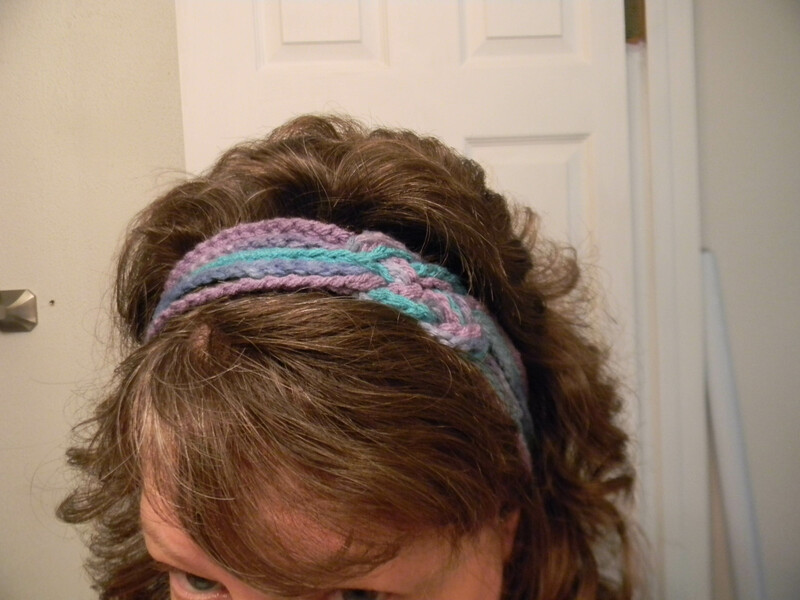 When I saw this headband I tried it immediately, after all it is just a chain stitch. I knew right away I was not going to like the ribbon that was glued on for a tie, so I sat out to change that feature. 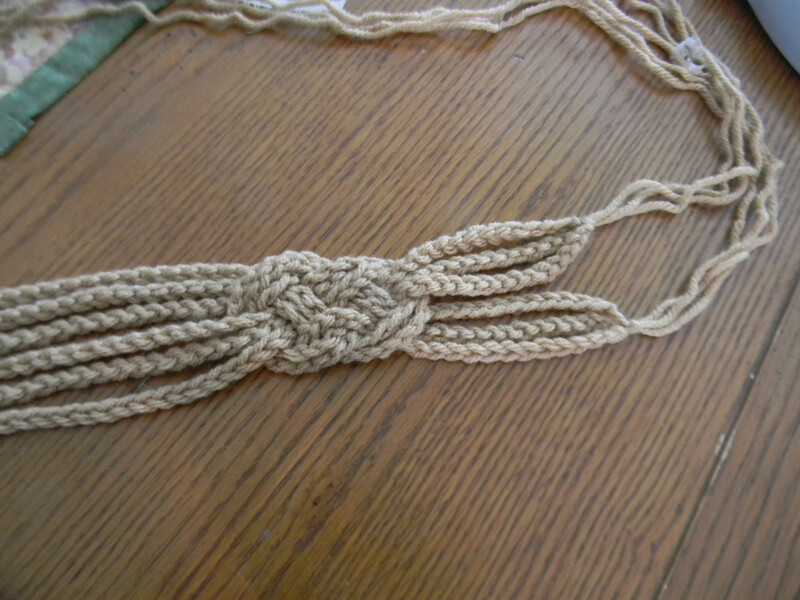 The original headband had you crochet one long chain of 300 and 1 shorter chain of 160. For my version I chained 3 seperate strands of 95 chains each with approx 1 yard of yarn at the beginning and at the end of each chain. Then I chained 3 strands of 55 chains each, again with the 1 yard of yarn at the beginning and end. 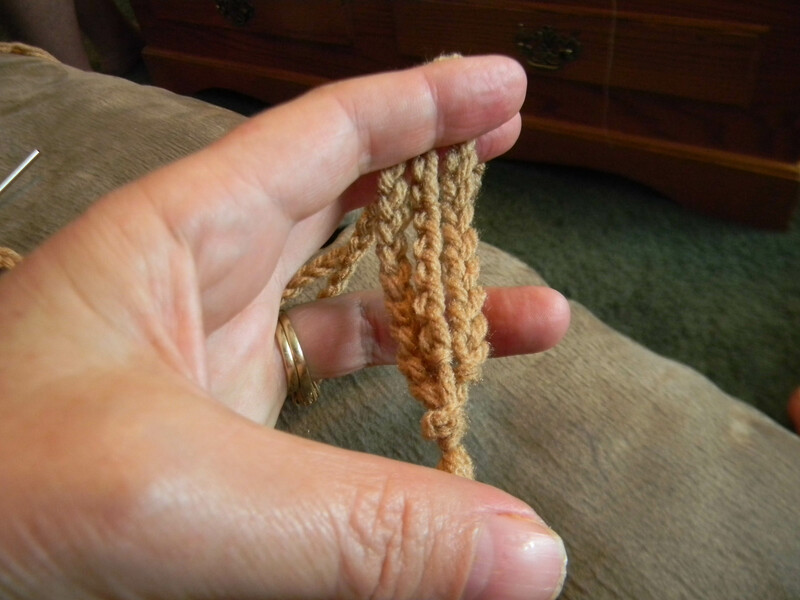 I used a size “I” hook and I crochet rather tight so you may need to adjust for yourself. I then placed the 3 longer chains together and tied a knot at both ends keeping them even and did the same for the 3 shorter chains. Make sure your knot is right at the end of your chains. After I tied the two sets I followed the instructions for making the actual celtic knot but being careful to keep the ends as even as possible. 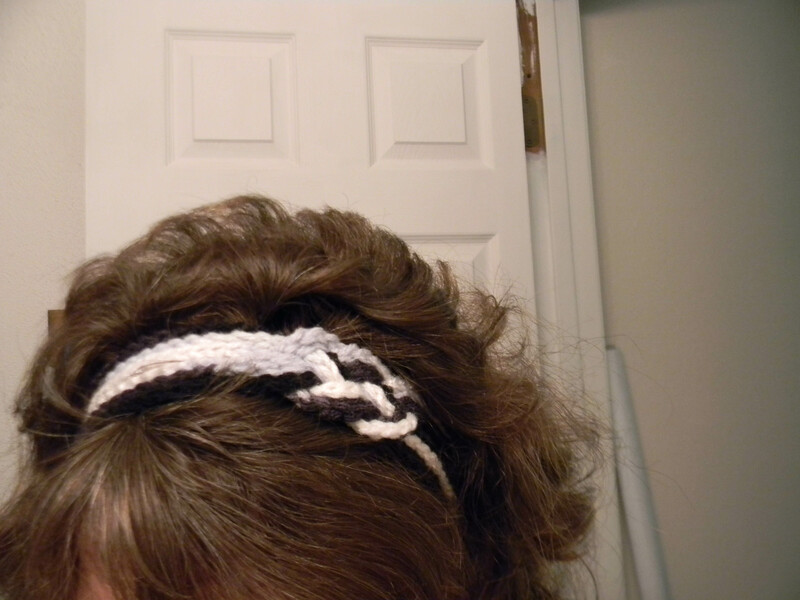 It doesn’t matter if you are a little off because when you tie the headband it will stretch some. 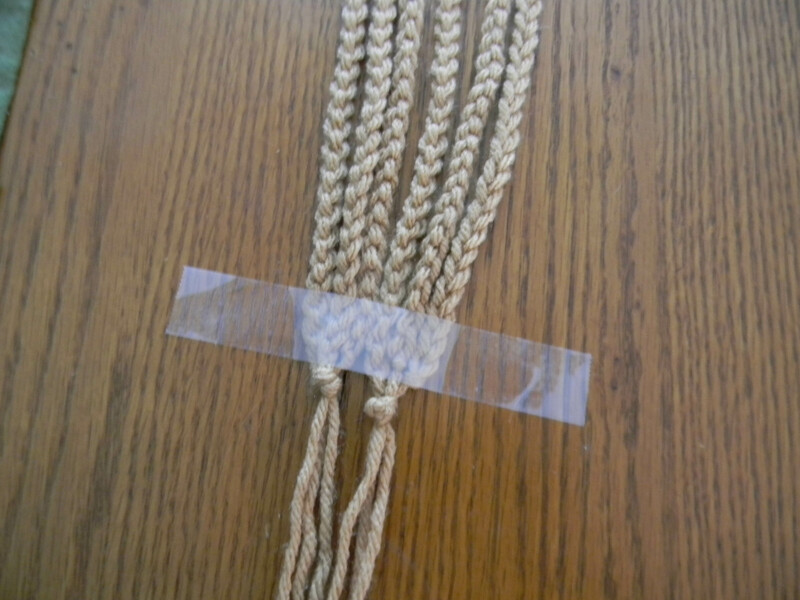 When I was finished making the knot I then taped each end down to a flat surface and braided the l yard ends together. You will have 6 strands so I divided the strands by 2. I braided for approx. 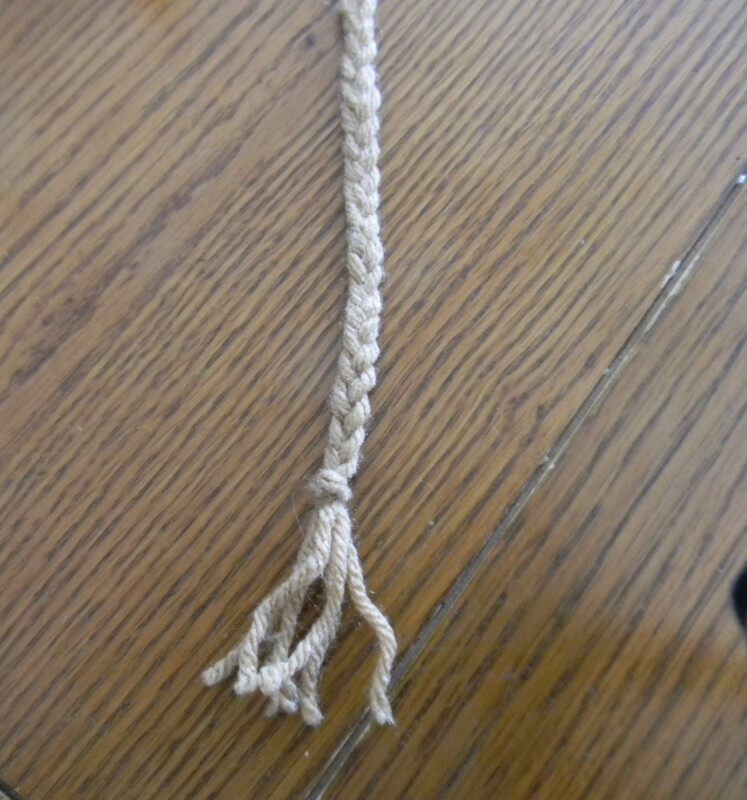 15″ then tied a knot and trimmed the ends. I think this is a much nicer finish, no glue showing and I don’t have to purchase ribbon which is not as cheap as it used to be. 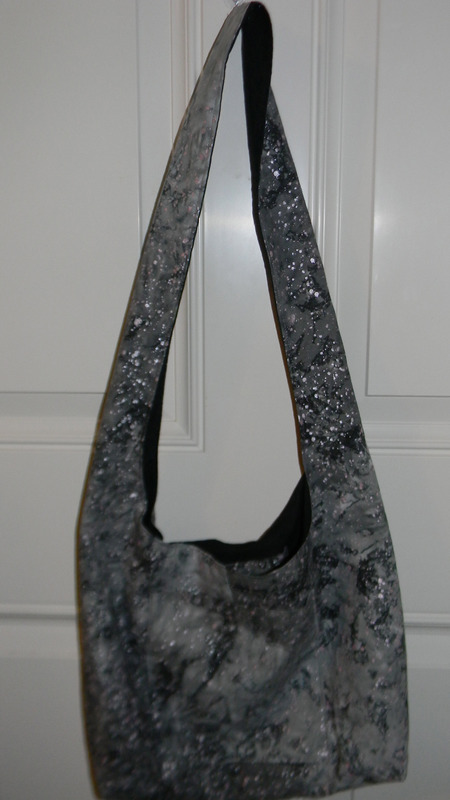 You can also do your chains in any color combination. 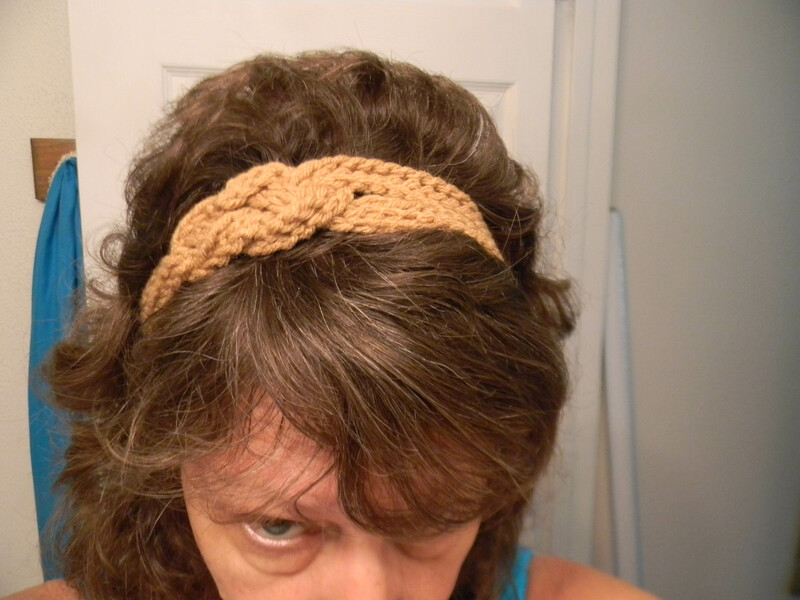 This entry was posted in Posts and tagged celtic knot headband, Crochet, crochet celtic knot, crochet headband. Bookmark the permalink. Thanks, the were so easy.